City Lights, Bright Holiday Nights. Kick off the holiday season with fun, family-friendly activities & tree lighting. Court Street. 4 - 6 pm. Free. Small Business Owners Seminar, "Strategies to Accelerate Revenue Growth. " White Plains Public Library. 6-8:30 pm. Pre-registration required. Free. There are many local organizations sponsoring holiday toy, coat and food drives and other special services to help our neighbors in need. Now in its fourth year, WinterFest Holiday Market is a special shopping and entertainment experience that brings the community together with festive music, food and shopping. Conveniently located on Court Street between Main St. and Martine Ave., WinterFest will run from Wed., Dec. 19th thru Sun., Dec. 23th, open from 11 am each day, closing at 7 pm on Wed, Thurs and Sun, and 9 pm on Fri and Sat. WinterFest Holiday Market provides the perfect shopping venue for those unique, one of a kind gifts for everyone on your list and will also offer Christmas trees, wreaths, centerpieces and natural holiday decorations. More than forty vendors will be on hand. Click here for a sneak peak at the vendors. 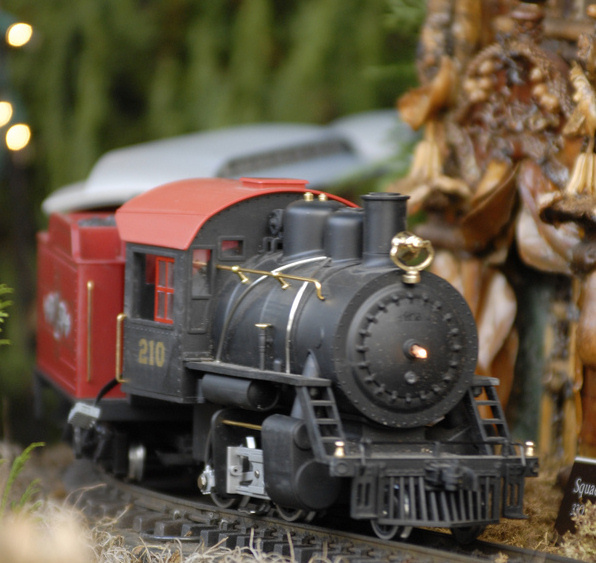 New to WinterFest this year -- To the delight of kids and railroad enthusiasts alike, the Yonkers Model Railroad club will set up its train show at 29 Court Street on Friday, 12/21, 3 - 7 pm, Saturday, 12/22, 11 am - 7 pm, and Sunday, 12/23, 11 am - 7 pm. 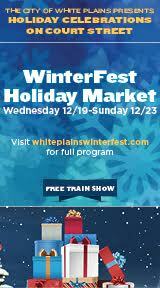 The train show is sponsored by the WP BID and is free and open to the public. WinterFest will also offer prepared food. Enjoy lunch, dinner, dessert or a glass of Gluhwein (traditional holiday mulled wine) and a full line-up of festive music and activities for the whole family. 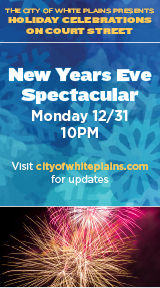 Click here for a schedule of performances and activities. Follow WinterFest on facebook. Find out how to prevent fires during the holidays. Click here for WP Public Safety Department tips on household safety. In addition to the malls, shops, restaurants, movies, and City sponsored events, White Plains is home to a number of venues offering an array of entertainment options this month. Check out their schedules . . . and enjoy!